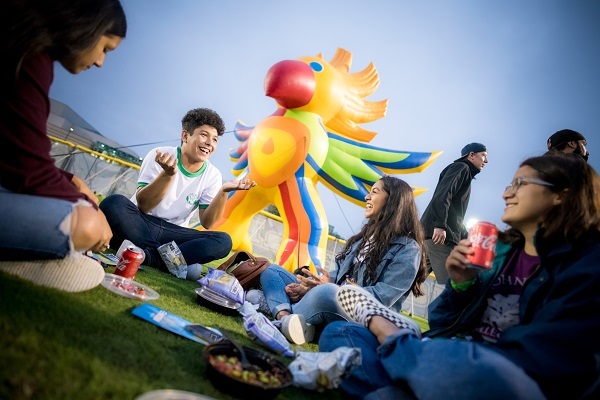 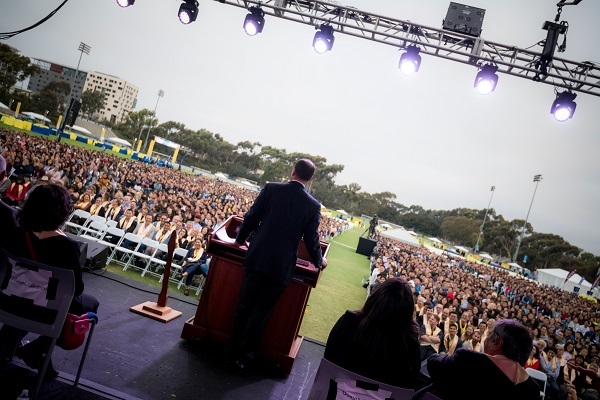 The fall quarter has officially begun, and Chancellor Khosla, along with UC San Diego staff, faculty and alumni, welcomed the largest-ever incoming class at this year’s New Student Welcome Convocation and Dinner. 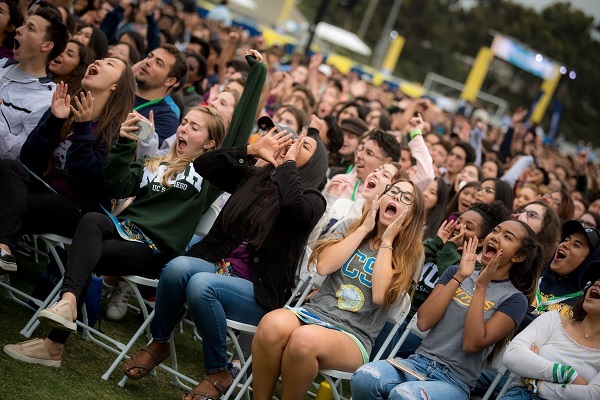 Chancellor Khosla talked about UC San Diego’s efforts to enhance the student experience—including adding more housing; degree programs such as Real Estate and Development and Business Psychology; and campus amenities. 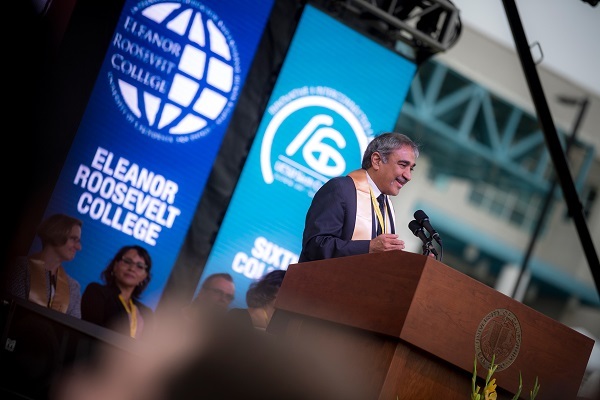 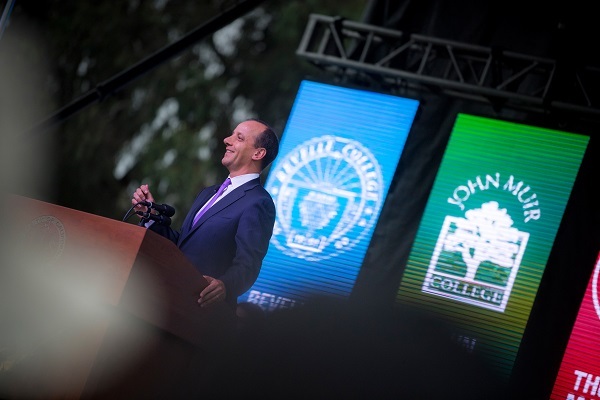 He encouraged students to seize opportunities while on campus and to stay involved beyond graduation, stating once a Triton, always a Triton. 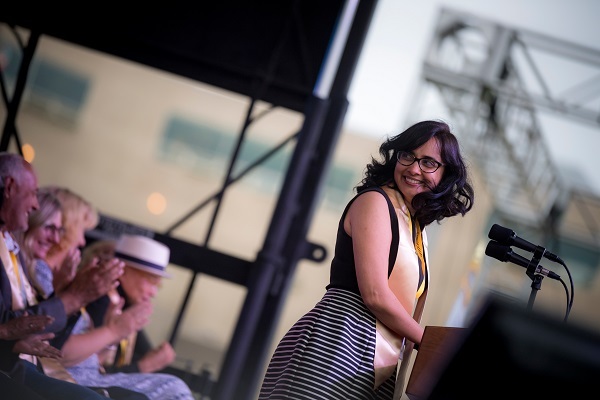 After the faculty and alumni keynotes, new students were invited to meet with faculty and eat dinner on RIMAC Field.